At Wellness for Eternity, we are dedicated to providing our clients with real results. Which is why we offer Sciton Joule BroadBand Light (BBL)™. Sciton Joule BroadBand Light (BBL)™ is the world’s most powerful IPL device on the market. It sets new standards in treating skin conditions associated with aging, active life styles, and sun damage. BBL is available as a stand-along compact system, but also as part of Sciton’s JOULE™ platform. — What is the BBL? The innovative BBL™ module extends the versatility of the JOULE platform with one-of-a-kind flash lamp technology, interchangeable Smart Filters, Finesse Adapters, and precision thermoelectric cooling. BBL uses advanced dual-lamp technology with each lamp supplying half of the energy needed during treatment. This results in unsurpassed lamp lifetimes. Its broad range of wavelengths allow targeted treatment for many skin conditions without the need for additional handpieces. Its flexible Finesse Adapters enable treatment of hard to reach areas, producing evenly treated skin. With its user-friendly features, superior results, and exceptional ROI, BBL is the most complete and versatile broadband light system in its class. Forever Young BBL is the only device that has been shown to change the expression of genes associated with aging, longevity, and increased lifespan. 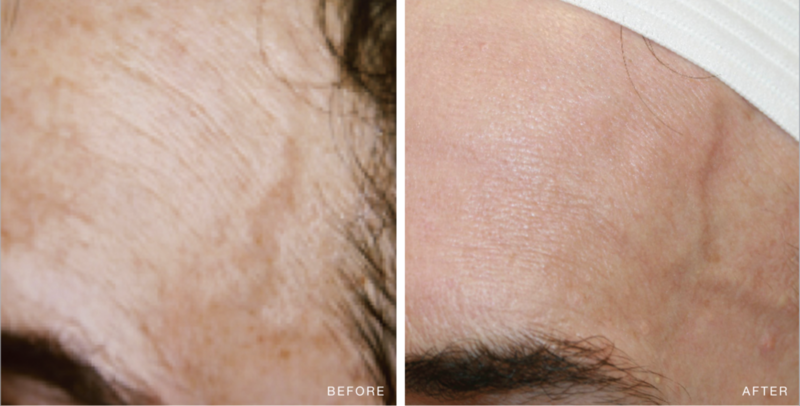 With regular Forever Young BBL treatments, your skin will look clearer, smoother, and much younger. Forever Young BBL treats a wide variety of conditions. For skin rejuvenation, Forever Young BBL removes age spots, freckles, redness, small vessels and more. Forever Young BBL can alsobe used to reduce unwanted hair and control active acne. All areas of the body can be treated. Forever Bare BBL from Sciton is a revolutionary technology in hair removal. Traditionally, hair removal devices apply all of their energy to any given area all at once. By sending multiple lower fluence pulses at a high repetition rate, Forever Bare BBL provides a treatment that is safe, fast, efficacious, and comfortable. The motion BBL technology allows for extremely even heating of hair follicles and minimizes missed areas that occur with traditional hair removal devices. Forever Clear BBL is a cutting-edge acne treatment that uses the power of light to comfortably and effectively clear acne without creams or medicine. BBL is the world’s most powerful IPL (Intense Pulsed Light) device delivering light energy deep into your skin to stimulate and regenerate your skin cells, leaving you with clear, healthy, radiant skin. Skin is first treated with BLUE BBL light to eliminate acne-causing bacteria at its source, deep down in the pores. Skin is then treated with YELLOW BBL light to reduce the inflammation and acne-associated redness to give you healthy, luminous skin. For added benefit, the skin is then treated with SkinTyte II™ using INFRA-RED light in rapid, gentle pulses to initiate the body’s natural healing process. Skin Tyte II utilizes advanced infrared light technology, and patient tailored filters to deeply heat dermal collagen while continuously protecting the treated epidermis with sapphire contact cooling for optical clinical endpoints, safety and comfort. With no need for a topical anesthetic, the energy is delivered in rapid, gentle pulses to promote contraction and partial coagulation of the collagen, initiating the body’s natural healing process, leading to increased tissue firming. Safe and optimized for all skin types, SkinTyte II can predictably, effectively, and comfortably treat any area of the body where improvement is desired, giving patients a firmer, and more youthful appearance.